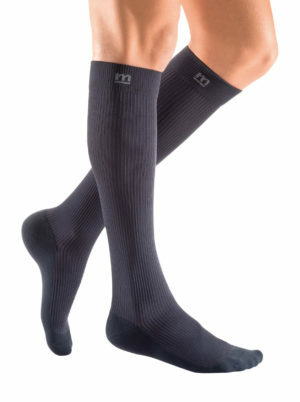 mediven for men select delivers both casual fashion and function, while providing accurate medical compression in a stylish dress sock that can be worn all day. The perfect ribbed design for both work and play with an extra-wide cuff for added comfort. Design: Patented Clima-comfort material wicks moisture and regulates temperature for all day wearing comfort while wearing compression. Distinct left and right foot designs for improved fit and unparalleled softness with Lanolin. 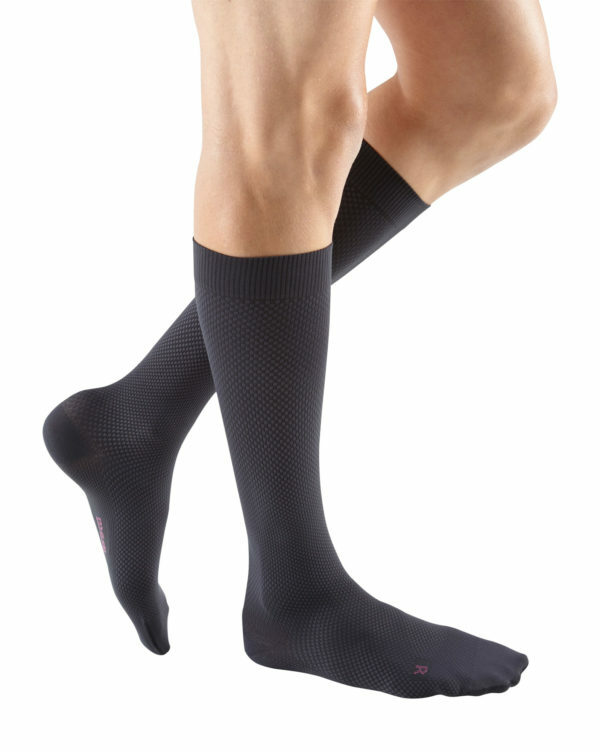 Features: Constructed of high quality spandex to provide accurate, consistent, long-lasting compression in a classic dress sock. Clima-Fresh technology inhibits bacteria growth and provides a fresh environment and comfortable fit for all day wear.